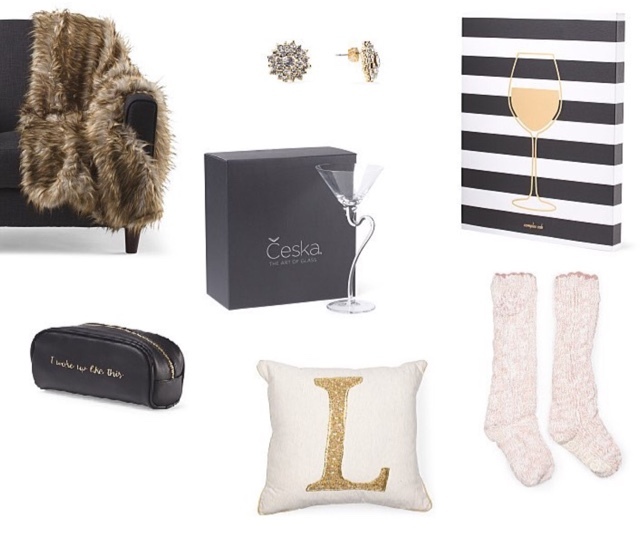 I put together this gift guide while searching for a Secret Santa gift for my girl friends. All of these were found on TJ Maxx's website, I am such a sucker or TJ Maxx. You really can't go wrong with home decor, especially initialized home decor. I just bough a large gold "L" for one of my girl friends & she loved it. Fuzzy socks? A MUST, even though it hasn't been very cold this winter. Who doesn't NEED fuzzy socks for the house? Last but not least, make up bags!! I can never have enough. TJ's has the cute make up bags on their website that read things such as "I woke up like this"